COLORADO SPRINGS, Colo. – USA Hockey will host its 2017 Annual Congress from June 7-10 in Colorado Springs, Colorado. The four-day event provides USA Hockey’s various councils, committees and affiliates the opportunity to conduct the business of the national governing body and celebrate accomplishment. USA Hockey will honor its service award recipients and various other players of the year on June 7 at its annual Night of Tribute Awards Dinner, while the other top awards will be presented during The President’s Awards Dinner on June 9. Wednesday’s award recipients include Adult Player of the Year Katie Augustine (West Chester, Ohio), Bob Allen Women’s Player of the Year Brianna Decker (Dousman, Wis.), Dave Tyler Junior Player of the Year Zach Solow (Naples, Fla.), Dave Peterson Goalie of the Year Keith Petruzzelli (Wilbraham, Mass. ), College Player of the Year Will Butcher (Sun Prairie, Wis.) and Disabled Athlete of the Year Alfredo Corona (Little Elm, Texas). Honorees for The President’s Awards Dinner on June 9 include Excellence in Safety Award recipient Dr. Rick Greenwald (Norwich, Vt.), Chet Stewart Award winner Gordy Lingel (Billings, Mont. ), Adult Member of the Year Don Mulder (Waupun, Wis.), Walter Yaciuk Award recipient Stan Moskal (Denver, Colo.), Bob Johnson Award winners, including the 2017 U.S. National Junior Team, 2017 U.S. Women's National Under-18 Team, 2017 U.S. Women's National Team and 2017 U.S. Men's National Under-18 Team, Distinguished Achievement Award recipient Joe Bertagna (Gloucester, Mass.) and Wm. Thayer Tutt Award winner Dennis Bushy (East Grand Forks, Minn.). Alyssa Girardi (Dearborn, Mich.), the 2015-17 Brian Fishman Intern and 2016-17 Brendan Burke Intern Colin Mayberry (Cranford, N.J.) will also be honored at the dinner. See more information on all the award winners below. Forward Katie Augustine helped guide the 2017 U.S. Women’s National University Team to a third-place finish at the Winter World University Games in Almaty, Kazakhstan. Augustine, who served as an alternate captain for the team, is the only player to have represented Team USA at three different Winter World University Games. She also netted five goals to help lead the U.S. to a third-place finish at the 2013 event in Trentino, Italy, and competed in the 2015 competition in Granada, Spain. 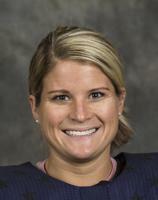 The West Chester, Ohio, native played club hockey at Miami University, where she most recently led the RedHawks to back-to-back American Collegiate Hockey Association national championships and their third title in four years. Augustine assisted on the national championship-winning goal in the third period of the title game against Liberty University. A two-time ACHA All-American, Augustine totaled 77 points (35g, 42a) throughout her four-year career and ranks fifth on the Redhawks’ all-time points list. Before joining Miami, Augustine played with the Pittsburgh Penguins Elite 19U girls team. With Pens Elite, Augustine also had the opportunity to represent the United States in Helsinki, Finland, and St. Petersburg, Russia, with Selects Hockey. She also competed at the 2012 USA Hockey Girls Tier I 19U National Championships in Marlborough, Massachusetts. Augustine graduated in May from Miami with a degree in sports leadership and management. She is the daughter of John and Wendy Augustine, and has one brother, Andrew. The Adult Player of the Year Award, presented by Labatt Blue, is presented annually to an individual who performed exceptionally during the past year as a member of a U.S. adult hockey team or as a participant at an adult hockey event in the United States. Brianna Decker helped guide the U.S. Women’s National Team to a gold medal at the 2017 IIHF Women’s World Championship and a first-place finish at the 2016 Four Nations Cup. Decker has been a mainstay at forward for the U.S, having participated in 16 events with the National Team since 2010, including the 2014 Olympic Winter Games in Sochi, Russia. At the IIHF Women’s World Championship in Plymouth, Michigan, Decker earned the Directorate Award as the top forward in the tournament and was also named Most Valuable Player of the Media All-Star Team after finishing with 12 points (3G, 9A) in five games, which tied for the tournament lead. In the opening game of the tournament against Canada, Decker scored the game-winning goal in a 2-0 victory. She also netted a pair of goals in a 7-0 win over Russia in the preliminary round. At the 2016 Four Nations Cup, Decker led Team USA with seven points (1G, 6A), including the tournament-winning goal and two assists in the championship game against Canada. She was also named U.S. Player of the Game in a preliminary-round contest versus Canada. Decker spent the 2016-17 season playing professional hockey with the Boston Pride of the National Women’s Hockey League, where she led all skaters with 14 goals and 31 points en route to being named the league’s Most Valuable Player for the second consecutive season. She recorded a point in 15 of the Pride’s 17 regular-season games, including eight multi-point efforts. A native of Dousman, Wisconsin, Decker is the daughter of John and Marilyn Decker and has three brothers: Bryan, Ben and Brody. The Bob Allen Women’s Player of the Year Award is bestowed annually on a top U.S. women’s hockey player at the international, collegiate, high school or club level. Dubuque Fighting Saints forward Zach Solow led the United States Hockey League with 69 points on 18 goals and a league-leading 51 assists in 56 regular-season games. His average of 1.23 points per game and seven game-winning goals ranked second among USHL skaters. For his efforts, Solow was named the 2017 USHL Forward of the Year by the league’s general managers. He is the first Dubuque player to receive the honor in 26 years. His season was highlighted by a 20-game point streak that spanned from Oct. 28 to Jan. 27. Solow tallied 32 points (6G, 26A) during the streak, which was the longest in the USHL this season and third longest point streak in Tier I history. Overall, Solow tallied at least one point in 46 of 56 regular-season games, and the Fighting Saints compiled a 12-2-3-0 (W-OTW-OTL-SOL) record when he scored a goal. He also contributed one goal and four assists in eight playoff games. On the international stage, Solow helped the U.S. Junior Select Team win the 2016 World Junior A Challenge in Bonnyville, Alberta, by tallying four points, including two goals, in five games, with a three-point performance (1-2--3) in a 9-0 shutout over Switzerland in the quarterfinals. Solow is committed to play hockey at Northeastern University following his USHL career and is eligible for the 2017 NHL Draft. A native of Naples, Florida, he is the son of Ken and Nicole Solow and has two sisters, Lindy and Kristen, and one brother, Max. The Dave Tyler Junior Player of the Year Award is presented annually to an exceptional U.S. citizen playing junior hockey in the United States. In his first season with the Muskegon Lumberjacks of the United States Hockey League, Keith Petruzzelli earned 22 wins with a .918 save percentage and a pair of shutouts en route to being named to the 2016-17 USHL All-Rookie Team. Petruzzelli’s efforts helped propel Muskegon to the 2017 Clark Cup Playoffs, where he made 52 saves in two games for the Lumberjacks. He was also named Most Valuable Player at the 2017 USHL/NHL Top Prospects Game in January after stopping all 21 shots he faced in 27 minutes of action. Perhaps the most unique moment of Petruzzelli’s 2016-17 campaign occurred on Friday, Feb. 24, when he scored an empty-net goal from his own crease in a 4-1 victory over Madison to become the only goaltender to score in the USHL this season. Petruzzelli was also a member of the 2016 U.S. Under-18 Select Team that finished second at the Ivan Hlinka Memorial Cup in Bratislava, Slovakia, and Breclav, Czech Republic. In addition, Petruzzelli made 11 saves in 29 minutes at the 2016 CCM/USA Hockey All-American Prospects Game last September in Philadelphia. Petruzzelli, who is eligible for the 2017 NHL Draft, is committed to play college hockey at Quinnipiac University next season. The Wilbraham, Massachusetts, native is the son of David and Katherine Petruzzelli. The Dave Peterson Goalie of the Year Award, presented by Bauer, is given annually to a top U.S. goaltender at the international, professional, collegiate or junior level. 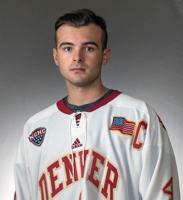 University of Denver defenseman Will Butcher finished his collegiate career as the sixth defenseman to win the Hobey Baker Memorial Award as the nation’s top player. A team captain during his senior season, Butcher helped lead the Pioneers to the school’s eighth national title. He contributed 37 points (7G, 30A) in 43 games, which ranked second among all NCAA defensemen. Butcher was named NCHC Player of the Year and Offensive Defenseman of the Year after finishing first in the conference with 25 points (3G, 22A) in 24 games. The ACHA/CCM First-Team All-American also earned all-tournament team honors at the NCAA’s Midwest Regional after netting a goal and earning a plus-three rating in wins over Michigan Tech and Penn State. Butcher has represented Team USA in IIHF world championship play four times, including with the gold medal-winning 2012 U.S. Men’s National Under-18 Team at the IIHF Under-18 Men’s World Championship in Brno, Czech Republic. He also won silver at the same event a year later, and was a member of the 2014 and 2015 U.S. National Junior Teams. The Sun Prairie, Wisconsin, native is the son of Joe and Julie Butcher and has one sister, Jessie, and one brother, Mike. The College Player of the Year Award, presented by Bauer, annually recognizes an individual’s outstanding performance during the U.S. college hockey season. A dedicated ambassador for sled hockey in the Dallas/Fort Worth area for the last decade, Alfredo Corona became president of the Dallas Stars sled hockey program as it was on the edge of folding in 2008. Since assuming that role, Corona’s fundraising efforts have resulted in resources for weekly practices, the ability to travel to multiple tournaments each year and substantial equipment reserves, all of which are provided to athletes without cost. He also secured funding and helped manage the conversion of the team’s home arena to become sled hockey accessible. 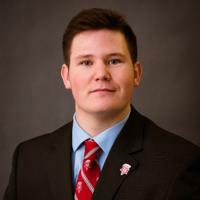 Most recently, he helped secure the team’s affiliation with the Dallas Stars, which provides the program with extensive funding, marketing, advertising and additional resources to use for the betterment of sled hockey in Dallas. In addition, Alfredo is also the disabled rep on the Texas Amateur Hockey Association board of directors. He has been instrumental in helping start sled hockey programs in both Houston and Austin, and is currently working to organize a special hockey program in Dallas for the fall of 2017. Alfredo has also been an active sled hockey player for more than 16 years. During his time as a player, the Dallas Sled Stars have enjoyed much success, winning the 2012 USA Hockey Sled Hockey Classic A Division, the 2016 USA Hockey Disabled Festival B Division, and most recently, the 2017 Hendrickson Foundation Sled Hockey tournament. Alfredo currently resides in Little Elm, Texas. He is the son of Noreen and Al Corona and has one sister, Clarissa. The Disabled Athlete of the Year Award recognizes a disabled athlete that has displayed incredible dedication to disabled hockey in the United States. An entrepreneur and biomedical engineer, Dr. Rick Greenwald has served as vice president of the Hockey Equipment Certification Council (HECC) since 2007, and is an active participant in creating national and international standards related to ice hockey via both ASTM and ISO committees. Greenwald is also the co-founder and president of Simbex and Co-Founder of iWalk (now BionX), as well as the co-founder and executive director of the non-profit National Institute for Sports Science and Safety, and an adjunct professor at Thayer School of Engineering at Dartmouth College. His research interests include biomechanics, injury prevention, sports equipment, product development, and technology commercialization. Greenwald is co-director of the NIH-funded Center for Translation of Rehabilitation Engineering Advances and Technology (TREAT), a national rehabilitation infrastructure resource, and co-director of the FDA funded New England Pediatric Device Consortium (NEPDC). In 2000, he founded Simbex, and has long been active in the development of biofeedback and data acquisition products for the medical and rehabilitation industries. Dr. Greenwald and Simbex have received numerous research and development awards, including ones from NIH, NSF, and the Department of Defense, for product development through the Small Business Innovation Research (SBIR) program. He received his undergraduate degree in biomedical engineering at Duke University, his master’s degree from Dartmouth College in biomedical engineering, and a PhD from the University of Utah in bioengineering. Greenwald lives in Norwich, Vermont, with his wife Ann. They have two sons, Evan and Max. The Excellence in Safety Award, sponsored by K&K, recognizes an individual who has made outstanding contributions to make hockey a safer game for all participants. Having dedicated countless hours of service to USA Hockey’s Officiating Program, Gordy Lingel has been a cornerstone of officiating development in the Rocky Mountain and Northern Plains Districts, specifically in Billings, Montana. Since starting his officiating career in 1977, Lingel has maintained his USA Hockey Officiating Program Certification continuously for 40 seasons and is currently still working games at 81 years young in Billings. Lingel served as the Montana referee-in-chief from 1978-2006, supporting the growth and development of youth hockey and officiating through organizing local officiating programs and working games as often as needed. His time included tens of thousands of miles to teach, motivate and mentor young officials in growing programs across both the state and district. His mentees attest that Lingel was a master at teaching crucial fundamentals such as verbal communication, positioning, practicing signals and most notably, appearance both on and off the ice. He preached that being an official meant holding yourself to a higher standard of personal pride, dedication and honor in representing USA Hockey ideals in the officiating program. Numerous officials under Lingel’s tutelage have gone on to work at higher levels, including Bryan Pancich, who has been an NHL official since the 2009-10 season. The Billings, Montana, native also still umpires fast pitch softball in the summer at the 12U-18U levels, in addition to officiating ice hockey in the winter. The Chet Stewart Award recognizes an individual who has made outstanding contributions to the USA Hockey Officiating Education Program during many years of service to the hockey community as an official and/or volunteer. A member of the Adult Council for more than two decades, Don Mulder has worked diligently to expand the number of adult players in the USA Hockey family and has also played a vital role in the expansion of both men’s and women’s national tournaments. Mulder has served as a member of the Wisconsin Amateur Hockey Association board of directors since 1982, as well as six terms as the organization’s president from 2010-2016. As both president of WAHA and as a Central District director for USA Hockey, Mulder worked within his own affiliate and with the presidents of the other Central District affiliates to ensure the long-term growth and success of hockey across six states. 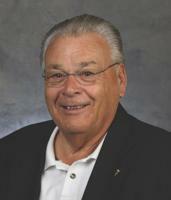 A previous recipient of both the USA Hockey Distinguished Service Award and the USA Hockey President’s Award, Mulder has also been the tournament director for both full-check and non-check USA Hockey National Championships numerous times, and has been involved directly with the wildly popular Labatt Blue/USA Hockey Pond Hockey National Championships in Eagle River, Wisconsin. Mulder was elected to the USA Hockey Executive Committee in 2015 and has served as a member of the appeals sub-committee during his first two years, as well as participating in other Executive Committee activities. He is also a member and a past president of the Wisconsin Hockey Hall of Fame. 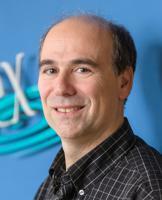 A Waupun, Wisconsin, native, Mulder currently lives in Fond du Lac, Wisconsin, with his wife, Judy. The couple has five children and 14 grandchildren. The Adult Member of the Year Award, presented by Labatt Blue, is awarded to an individual who has made outstanding contributions during many years of service to the ice hockey community as an adult player and/or volunteer. Considered a leader in the early years of the coaching education program, Stan Moskal played a pivotal role in growing the game at a time when there were very few resources – either print or video – for coaches across the country. Moskal served as the Rocky Mountain District coach-in-chief from 1976-81 and 1985-89, as well as the district’s coaching program director for an extended period of time. In that role, Moskal not only performed his duties in coaching education within his district, but frequently assisted as needed in other districts as a mentor to many coaching education staffers across the country in the formative years of the program. Moskal was both a coach and an administrator during the infancy of the Littleton (Colo.) Hockey Association and played a vital role in the continued growth of the organization as a long-time member. He originally became involved with USA Hockey at the 1962 International Ice Hockey Federation Men’s World Championship in Colorado Springs, Colorado, where he served as a statistician for games played at the Broadmoor World Arena (USA Hockey was then known as AHAUS). Later that year, he began refereeing in Colorado Springs and continued to do so until the early 1980s. In 1985, Moskal’s efforts extended overseas, as he visited Scotland and England along with Keith Blasé and Dave Peterson, to do a series of coaching and player development clinics throughout both countries. Moskal currently resides in Denver. In January, the U.S. National Junior Team added a fourth gold medal to its all-time count at the International Ice Hockey Federation World Junior Championship with an undefeated run through the tournament (5-2-0-0/W-OTW-OTL-L) on Canadian soil in Montreal and Toronto. The U.S. Women’s National Team went undefeated (4-1-0-0/W-OTWOTL-L) to claim its fourth consecutive International Ice Hockey Federation Women’s World Championship at the 2017 edition of the event in Plymouth, Michigan. The victory marked the first time a U.S. Women’s National Team claimed the gold medal on home soil as the event was held at USA Hockey Arena. The U.S. Women’s National Under-18 Team claimed its third consecutive gold medal at the 2017 International Ice Hockey Federation Under-18 Women’s World Championship in Zlin and Prerov, Czech Republic with a 4-0-1-0 (W-OTW-OTL-L) record. The U.S. Men’s National Under-18 Team went undefeated (6-1-0-0/W-OTW-OTL-L) in the 2017 International Ice Hockey Federation Men’s Under-18 World Championship in Poprad and Spisska Nova Ves, Slovakia, to claim its 10th gold medal and tournament-record 14th consecutive medal in the event. The Bob Johnson Award, presented by Nike, recognizes excellence in international hockey competition during a specific season of play. Hockey East Commissioner Joe Bertagna has spent the last 35 years as a college hockey administrator, including the last 20 years with Hockey East, after serving in a similar capacity with the Eastern College Athletic Conference for 15 years. He is the longest serving commissioner in Hockey East history and is currently the longest serving hockey commissioner in the NCAA. During his tenure with Hockey East, Bertagna has engineered national television deals and delivered many high profile special events, including the first outdoor college hockey games in the east at Fenway Park in 2010. His contributions to the Women’s Hockey East Association were recognized when the championship trophy was named after him. Nationally, Bertagna has been the executive director of the American Hockey Coaches Association since 1991 and has played a vital role in the growth of AHCA membership. Bertagna has been actively involved with USA Hockey for several years, serving on the board of directors and various committees and councils. He has also contributed to the Hockey Commissioners Association, the formation of College Hockey, Inc., and operated goalie clinics throughout New England since 1974. A native of Arlington, Massachusetts, he began his professional coaching career in 1985 with the Boston Bruins, and was also part of the coaching staffs of the U.S. Men’s National Team at the 1991 Canada Cup, the U.S. Olympic Men’s Ice Hockey Team at the 1994 Olympic Winter Games, and with the Milwaukee Admirals from 1994-96. Bertagna enjoyed a brief college coaching career at Harvard University in the late 1970s, serving as men’s junior varsity coach in 1976-77 and launching Harvard’s women’s ice hockey program in 1977-78. He served as head coach of Harvard women’s hockey for two seasons. He was a goaltender at Harvard University before playing professionally for the Milwaukee Admirals and in Cortina, Italy, leading his club to the 1975 championship. Bertagna, who has authored a number of books on hockey, resides in Gloucester, Massachusetts, with his wife, Kathy, and their three children: Bobby, Joey and Grace. The Distinguished Achievement Award is presented to a U.S. citizen who has made hockey his or her profession and has made outstanding contributions on or off the ice to the sport in the United States. An enthusiastic ambassador for hockey, Dennis Bushy continues to leave an indelible mark not just locally, but throughout Minnesota as a coach, administrator and grassroots builder. A native of East Grand Forks, Minn., Bushy developed an early passion for hockey, but his plans were altered by Uncle Sam, so Bushy’s ice dreams simmered through a three-year hitch in the United States Army. After a tour in Vietnam, Bushy finished his service in Pittsburgh, Pennsylvania, where he happily found himself back in the rink. He returned to his home state in 1972, launching a youth hockey program in the small town of Benson. In 1977, he moved to Moorhead, where he began coaching 14U hockey. It was the beginning of a legendary career, one that continues today with as much passion and love for the game as ever. 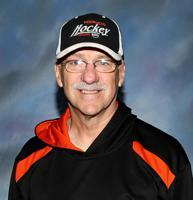 Bushy has served in many roles with USA Hockey, Minnesota Hockey and the Moorhead Youth Hockey Association. 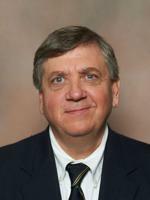 He is currently Minnesota’s District 15 director and general manager of the Moorhead Youth Hockey Arena. In his coaching role, he helped groom six future NHL players. Beyond churning out high-end Spuds, he also served as his district’s high-performance coach for more than 18 years and as a coach in the Minnesota Hockey summer camps. Those behind the bench also benefitted from Bushy’s dedication. In 2011, he concluded a 20-year stint as a Minnesota Hockey associate coach-in-chief, having helped hundreds of coaches develop their skills. Through the decades, Bushy never stopped learning and serving, shaping countless lives and lifting hockey to new heights in Moorhead and beyond. In 2014, he earned the Walter Yaciuk Award for his contributions as part of USA Hockey’s Coaching Education Program, and tonight, he is recognized for the full scope of his grassroots contributions as USA Hockey’s Thayer Tutt Award recipient. The Wm. Thayer Tutt Award is presented to a volunteer who, during many years of service, has displayed selfless dedication to the enhancement of ice hockey at the grassroots level in the United States. 10-Month Internship begins in August in Plymouth, Mich.